@Ciellia, can your reseller find or recommend a reasonably priced replacement GTX 1070? Perhaps that may be a way to solve your dilemma. Sorry to see that. Seems odd they want to replace the mobo if the card is the bad component. FYI to anyone else using Metabox on the P950HR Metabox just got back to me and said no Prema BIOS or other BIOS available, nor updates from the current version. Looks like i bought at EOL and will have to start flashing Clevo onto this PC instead.. Shame because for some more functionality i'd happily pay out of pocket for a new BIOS. Oh well, next time i'll look at XoticPC who are clevo importers in Aus. "and it does appears that the Prema BIOS mods that you've referenced are only available on our Prime-X range - I believe these models specifically is where we've chosen to partner on." "In regards to your current BIOS, there's unfortunately no further major updates that I can see. There are some minor releases, but nothing in the way of added functionality or additional options within the BIOS menu." So i guess the latest Clevo BIOS doesn't add many more options, shame because my metabox probably has the fewest available tweaks or settings of any PC i've owned, desktop or notebook. A lot of requests for Prema's BIOS' have gone unanswered lately, but good luck. Does anybody have an updated Bios for a sager np 5673 / clevo w670rcw. Unaware I can get one? Was the @Prema Bios released for the P770DM? 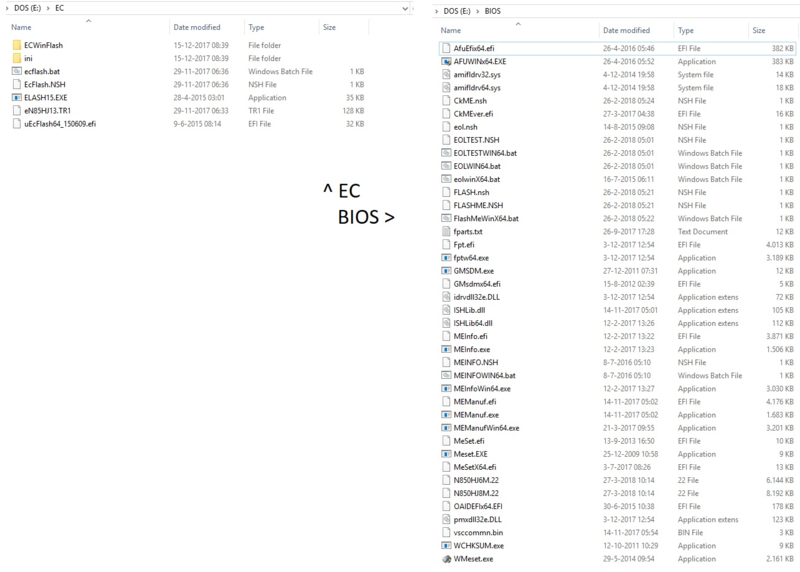 My Eurocom Bios has issues with hibernation - I press hibernate and when booting back up there's a 60% chance of nothing being restored on booting back up, and the machine would always wake from sleep randomly. Eurocom has tried to help me fix the issue but the only thing that helped somewhat was flashing an updated BIOS from them - now the sleep issues are gone but there's a 10% chance of hibernation failure - a BSOD shows saying a system file was corrupted and session could not be restored - much less frequent than before but the issues manifests itself differently. So it means there is an issue with their BIOS versions. Seeing as they were a Prema partner a couple years back I'm wondering if the Prema Bios was available for this model. Thanks. hey there, I'm going to flash the ec and bios on my clevo n850hk1, and I just wanna make sure I'm doing everything right. I already put these on a bootable dos usb drive in separate folders. I take it I first flash the ec with ecflash.bat? What confuses me is how I should flash the bios, because my reseller told me I should first do meset.efi followed by flashme.efi (I think that might be a typo and they meant flashme.nsh? correct me if I'm wrong). The OP of this thread only mentions 1 file when flashing the bios, so I'm a little confused. I have an Obsidian P670 laptop. I was a little surprised to find only a few options to change. Does Clevo use a stripped down version of the AMI BIOS or is there some hidden advanced mode? I'm trying to modify the USB power settings when in sleep mode. Hello, could you give a link to the stock and prema bios P670RS-G? Thank you for your help!